We offer several trainingcamps options in different points of Catalonia, Spain or other European countries. Great 50m. swimmingpool for your trainings in a good walking distance from offered accommodations combined with amazing touristic destinations to enjoy fun days with your team. Arrival in Spain. Check in at the Hotel; short briefing of your trainingcamp. 2 times training of 2 hours with 3 lines each. 2 hours training in the morning with 3 lines. In the afternoon excursion to Barcelona. Note: This is only an example and it can be modified to the requirements of every trainer. 50 or 25m. 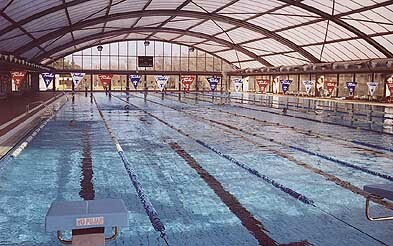 Swimmingpool are available along Catalonia. Ask us for your favorite destination and we will organize your best trainingcamp ever.